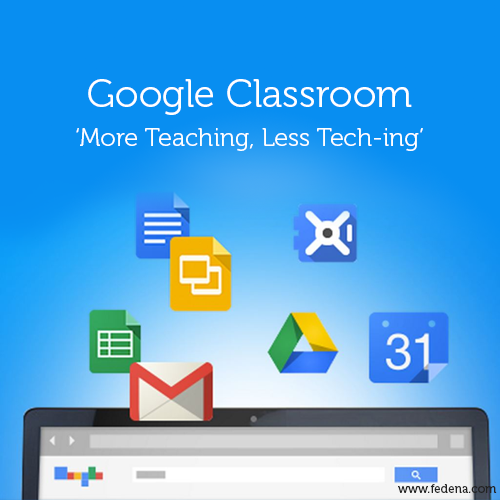 I promised that I would update you on the progress of my GOOGLE Classroom. Well, it’s going swimmingly. I really love it. The 10th grade History teacher showed me a feature on GOOGLE Classroom where the students can either download the document that I uploaded and they either download it, make a copy of it or everyone can edit the same document. She also showed me how the student can turn in the assignment. This makes grading so much better and easier. Everything’s mostly all in one place. I like the ease of use. It’s not as hard to get around as I originally thought. I’m loving the new ME; the ME that tries out different technology. So far it’s working out really well for me. Right now I’m working on making a GOOGLE site. Last year at this time it was so out of my league, now it’s something that’s totally do-able. In fact, I’m almost finished with my new classroom site. If I didn’t enjoy the little bit of anonymity that I have, I’d share it the site address with you. That’s another thing. I shared a little too much information and people keep finding me on Facebook. Not sure why people would want to find me, but they do! Anyway, I love GOOGLE Classroom and we’ll see how my students love the new classroom site. If they like it, I’ll post a mock duplicate website to show you what I’m working with. I am so ridiculously pleased with myself regarding my assignment. I’ve been thinking about how to put it together for a couple of months now. The reason is because I’m trying to teach my students how to lead their own I.E.P.s so I’ve been teaching them little by little how to do that. I’m not sure how successful I’m being at this because some of the students still don’t know that I.E.P. stands for Individualized Education Program. I began at the beginning of the year by telling & showing them an actual I.E.P. and explaining what Present Levels of Performance (PLPs) are, what Goals are, how long they have to reach their goal, and what their disability/learning difference is. I say that I’m not sure how effective I am because the information seems to be going in one ear and out the other, as sometimes happens with students with a learning disability. One strategy I was using was asking the students 5 Quick Questions. It was 10 questions that I split into two parts because 10 questions at one time seemed to be too much for them. Once I thought about it, 10 questions for the whole week still seem like too much. So, now I’ve cut it down to just 5 Quick Questions for the week. I decided, in order for them to keep the information in their heads, I’m just going to give them the same 5 Quick Questions for the 3 days/week that they come to my Lab and use the best score. This way they don’t have to worry about only seeing the information once and not again for a couple of weeks until I gave them the questions again, nor do they have to worry about getting a bad grade. I’ll let you know how it works. But, I digress. So back to the lecture at hand. I’ve come up with an assignment that I think will make help the information stick in their heads. Here’s the rubric. (Warning: It’s pretty ugly.) I say that it’s pretty ugly because it’s long. However, there is a method to my madness. Although there’s still some fine tuning I need to do, my plan is to break in into parts.